The Village of Parma is a planned community, with a Master Plan and zoning regulations designed to enhance the quality of life for all residents. Compliance wtih zoning requirements is essential to maintaining property values and a pleasant living experience within the Village. If you have any questions about the zoning ordinance, or if you would like to report a suspected ordinance violation, contact Ken Powers at 937-8308. 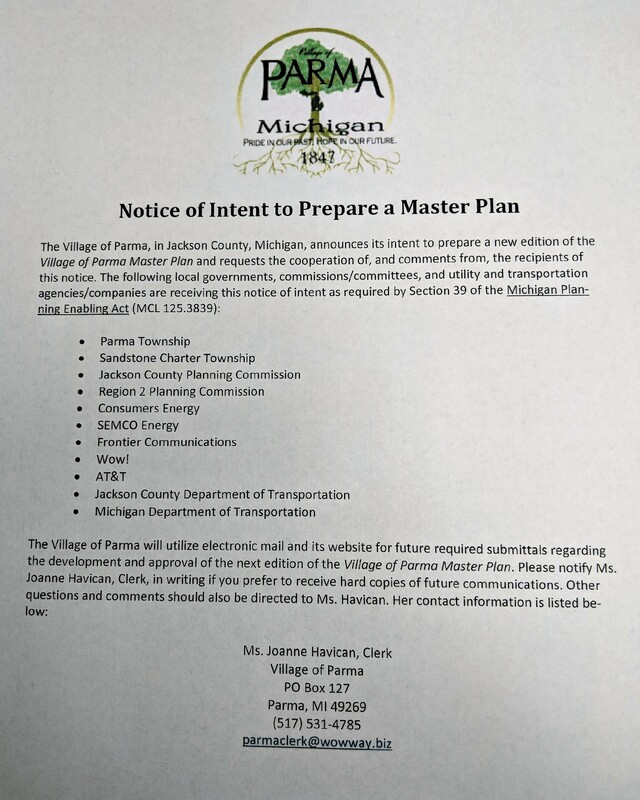 The Village of Parma partners with the Jackson County Sheriff's Department for active enforcement of zoning and village ordinances. Please take time to make sure you're compliant.